How do we make our smoothies? 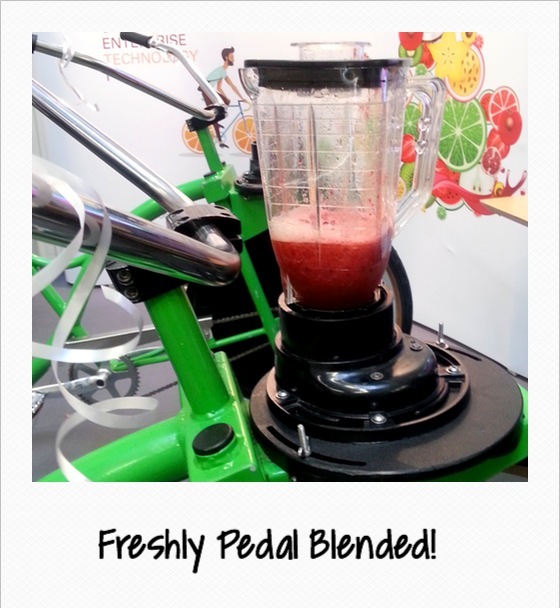 Many of our clients ask us exactly what ingredients and approach we use to make our delicious pedal blended fruit smoothies. 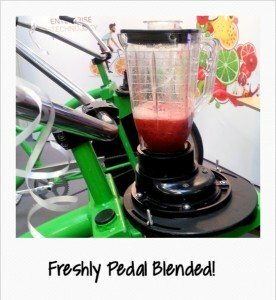 Today we will give you an insight so you know how we work at events with our ingredients and also how you can apply the same techniques for perfect smoothies at home (with or without your own blending bike!). The produce is always in perfect condition. It’s frozen at it’s best and stays in that state until you blend it so the taste is consistently good. As it’s frozen at this optimum point the nutrients are also locked in so the health benefits are also maximised and consistent. The combination of frozen produce and juice give a delicious thick smoothie which looks great. The finished drink is ice cold without adding any ice! So no water diluting the flavour or the nutrients. Finally the produce is already peeled, chopped and washed where appropriate, so no need for knives, chopping boards etc at the event, keeping operations simple and the speed of service high. You can emulate this at home either by freezing your own fresh fruit at its best or buying frozen fruit in bags, large supermarkets carry a good range now and it means you always have your ingredients ready in your kitchen and minimise waste! The only word of caution we have for doing this at home is that frozen fruit can be quite hard so a blender of reasonable quality is recommended. Enjoy your delicious and nutritious ice cold smoothies (after all summer is just around the corner….well kind of)!